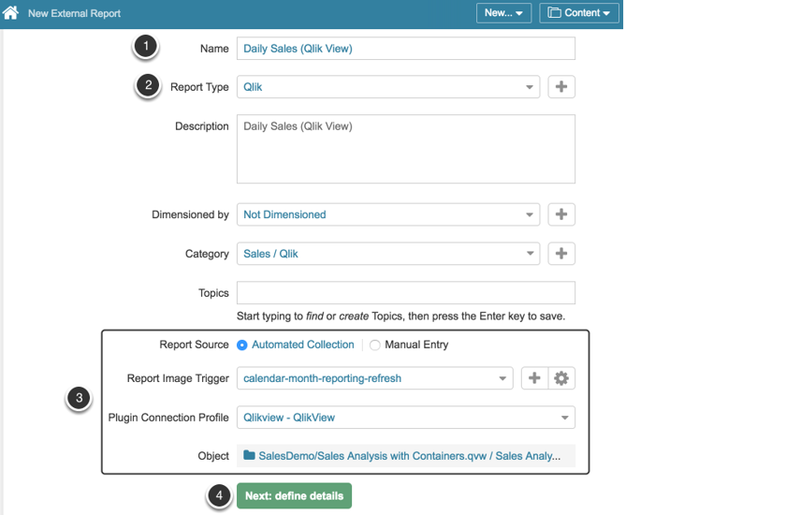 This article will show you how to create an External Report that is linked to a report from your Qlik server. Report Type: If there is no required Report Type in the list, click the Plus (+) button and create a new one. 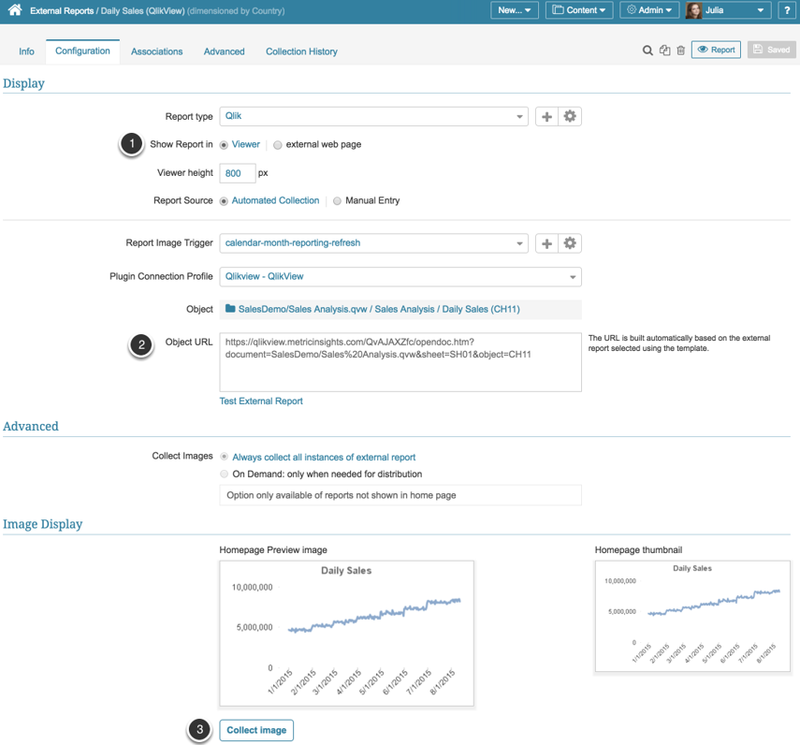 NOTE: If you chose 'Show report in External Web Page' in Step 1, you will not see your new report in the Metric Insights viewer when you are finished. If you want to see your new report, you can go to the Homepage and click the tile for your new Report. Alternatively, you can open the Elements List under the Admin menu on any page. 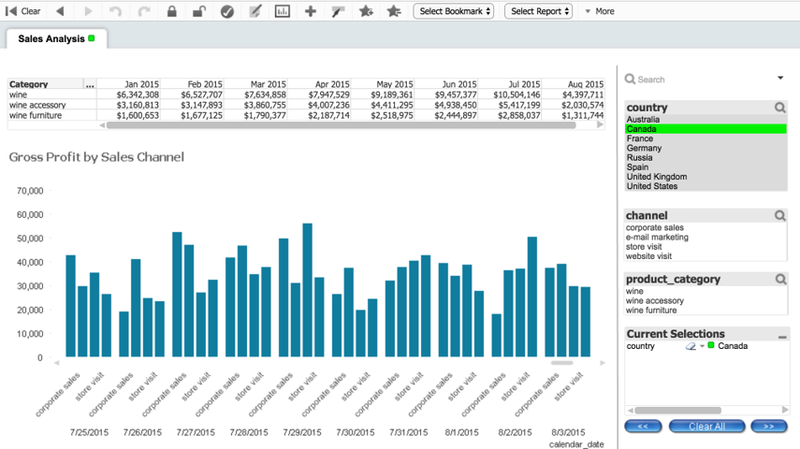 This section describes how to configure your External Report to show selected values in your QlikView dashboard. In this example, the chart is displayed for Canada in the country filter. Go to the External Report Editor > Info tab and set the Dimension with the value that contains the Selection Values used in your QlikView dashboard. Once you made this External Report dimensioned, a new field has been added to the External Report Editor > Configuration tab: the Filter field. Set the filter value that will control the selection for the chart in QlikView. Now you can choose the Preview dimension Value. Click Collect Image. 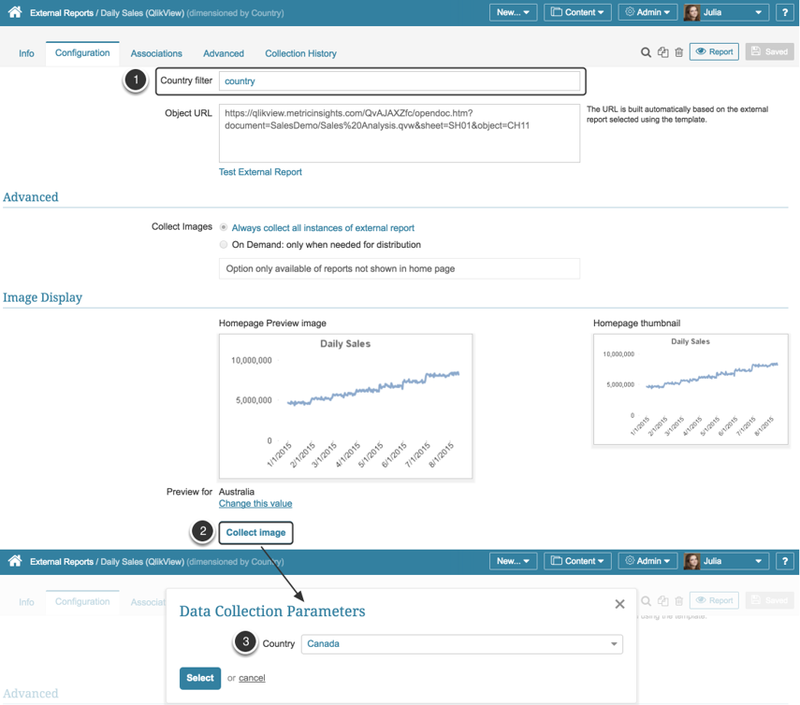 The Data Collection Parameters pop-up opens. Select the Dimension value to be shown as the Preview and click Select. 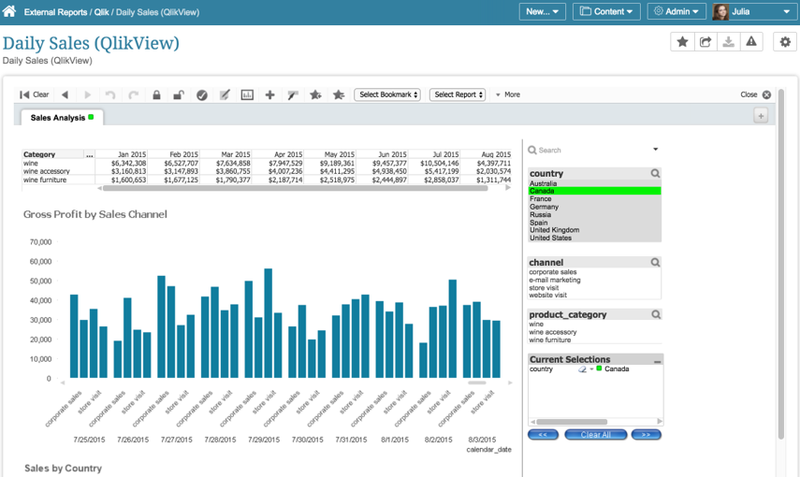 Once published, the Metric Insights External Report will collect the images for each Dimension value, and when clicked, the live Qlik View dashboard with the selected value will be displayed.